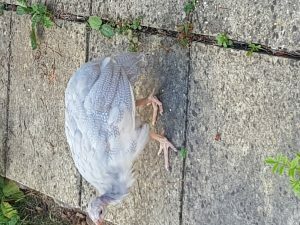 Guinea fowl type bird in begbrook. 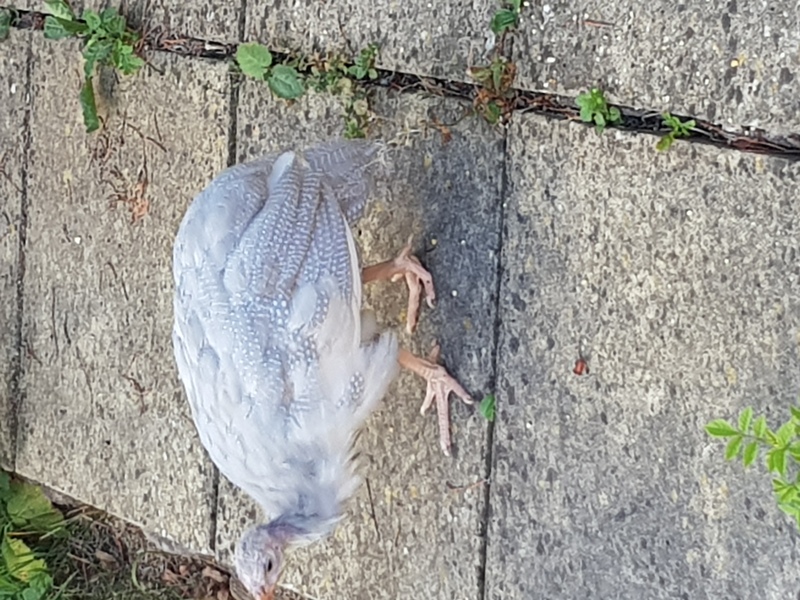 Came home to this little guy in the garden, Begbrook area. Quite content and happily scratching around the garden. Be good to find an owner before it gets dark.